Wildwoods heavy duty stainless steel oven Door is constructed of 11 gauge 304 stainless steel. The elegant design adds a touch of professional quality to your oven. This durable door is a great alternative to painted steel oven doors and it can withstand severe coastal climates. Need a custom wood fired oven door? We can do that! 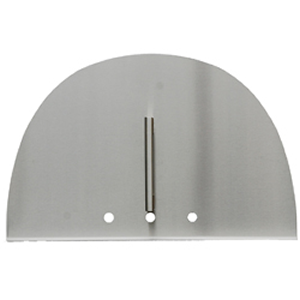 Oven door brushed 304 stainless steel has three vent holes and stainless handle.